The blurb of No Limit (2014) says it’s told in “sugar-rush prose” and this sums it up pretty well. This is a novella that kind of reads like you’re browsing the internet. You’ve got twitter open, tumblr, you’re IMing ten different people and writing a few emails at the same time. Ash, our main character, is on a connecting flight from Auckland when a volcanic eruption begins and her flight is grounded indefinitely. Is it the apocalypse? Maybe. She’s not going to die at the airport, so she gets a taxi out of there. There’s not a lot of action and we mostly watch as Ash travels with people she barely knows (including the dream girl she passed at the airport) around a city she doesn’t know. There are apocalypse parties, bathroom orgies, internet cafes. There’s twitter, tumblr, skype, facebook, texting. This is how you write about the internet. The book is only eighty five pages long and Childs sustains the fierce style throughout, any longer and it may not have worked. Another super great thing is all the queer representation — almost every character is either non-hetero or non-cis and it’s never really a big thing. No labels are really used and sometimes that can read terribly, but here in this clever, fast-paced, surreal maybe-apocalypse world, it works. 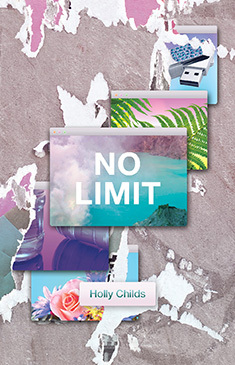 No Limit is published by Hologram and you can buy it here.